How to Print PDF Documents? 1.Turn off your printer. Wait till some seconds, and then turn it on again & Try to print the PDF again. 2.You should update to the latest printer driver. I thought that the error occurs because zip file is not fully download as the download starts and then immediately ends and gives me the 'unexpected end of archive' error message. then I again try to download same Zip file. Again it states same error message. What is this error mean? 1. Open WinRAR, Select the file>>Tools>>click the Repair button. The program will now attempt a repair. 2. If your archive file has ZIP extension then select “Treat the corrupt archive as ZIP ” otherwise choose “Treat the corrupt archive as RAR” option. Click OK.
How to Fix PowerPoint Error Message: "PowerPoint is unable to display some of the text.."
Have you ever suffered with this error If YES! then read this article to find the error solution. Error Message Description: As the error message indicates that file has been corrupted so I tried to run the 'detect and repair' option but still No Luck!! How to Fix Word File Error: "The file is not available"
"the file abc is not available"
Cause 1: When the default program is set to other program instead of Microsoft Word then this error occurs. Cause 2: This error occurs due to virus checkers. PSD (Photoshop Document) is a layer-based image format which is developed by Adobe Systems Photoshop application. I have edited an image in Photoshop & have many layers, it become very large in size so it is hard to transmit online. In order to make this image transmittable then I have to change it in more portable formats like JPEG. While searching on internet & found that it is very easy process. Step 2 Click on "File" in the top menu bar and after that select "Open." Browse the PSD file that you want to convert to JPEG File Format and double-click its icon to open it. 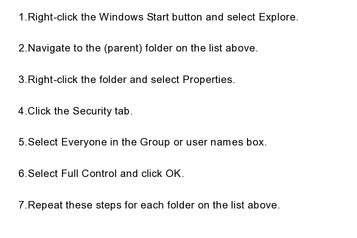 Step 3 Click "File" again and select "Save As." Step 4 Select the location to save your file and give the file name. Select the "JPEG" option from the Format drop-down menu, and click "Save." Why you are unable to open a PDF file? Many users think due to setting on the computer they are unable to open PDF File on their computer but sometimes it has some different causes. I am sharing these caused in details. PDF reader is not installed: First make sure a PDF reader installed on the system or not & also check that it is working properly or not. PDF file is not recognizable: Many times we are unable to open PDF File which is received by mail. It is happens when operating system can not recognize the PDF File. From last three years, I am using MS Word 2007 and maintain all my documents in Docx format. However, it has been corrupted due to sudden system shutdown during working on MS Word. The file has all my crucial data so I have to repair it at any cost. As I am tech guy & have good knowledge of word so I knows that first I have to understand the cause of docx file corruption before proceeding to any recovery steps. When these messages occur then you can’t perform any task on the file or there is also possibility that the file is unable to open due to these error messages. There are number of reasons behind excel file corruption errors but Most of excel file corruption errors are caused by virus attack, software malfunctioning, Power Outages, sudden system shutdown etc. 1. Create a new blank presentation in PowerPoint, and save it with new file name. 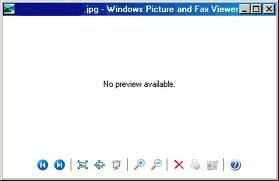 Then, go to Format > Slide Design, choose to show all documents, and choose the corrupt PowerPoint file. Check the option to apply it to all slides. Go to next step, if it gets failed. "Excel cannot open the file '(filename)'.xlsx' because the file format or file extension is not valid. Verify that the file has not been corrupted and that the file extension matches the format of the file." I have faced this error yesterday while I was working on Excel. ( I found it interesting topic so I am writing a blog post:)..
Two days back, I have received an email with PDF file attachment. 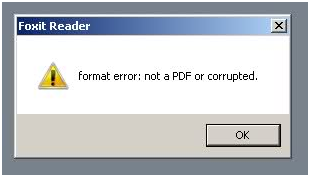 When I tried to open PDF file, it shows an error message which says: "format error: not a PDF or corrupted" I was surprised to see such error message and thought hope it was not a virus file as attached PDF. Immediately I have called to my friend who is expert in handling PDF file error matters. My friend suggested me it may not be virus file. It could be possible that PDF file got corrupted so he suggested me to open PDF file in foxit PDF reader which is an alternative of adobe reader then I install the foxit pdf reader, & try to open "corrupt" pdf files. When I tried to open it in foxit reader, again it shows same error message.